How exciting is this?! 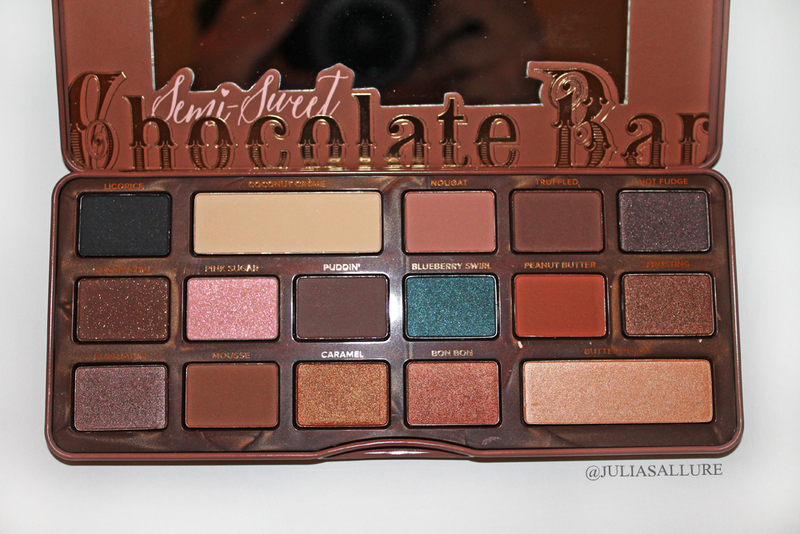 I am a huge fan of the original Chocolate Bar palette and when I heard they were releasing a new one I just knew I NEEDED it. 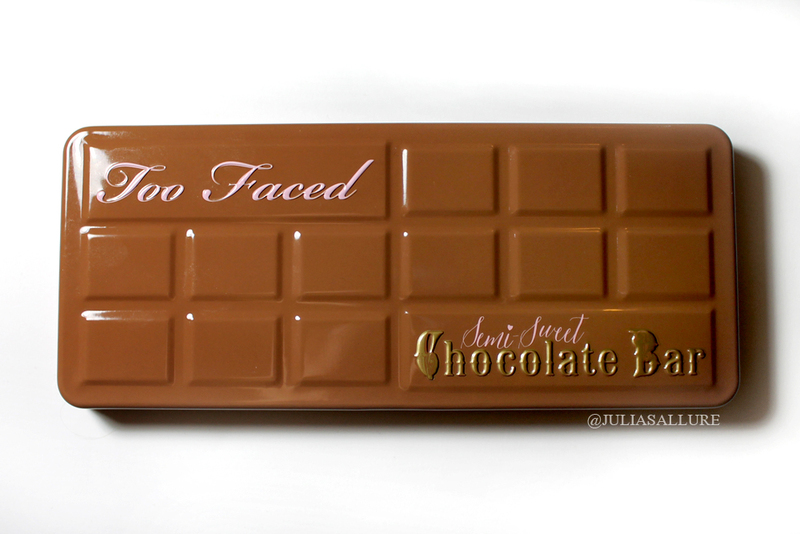 This is the Too Faced “Semi Sweet Chocolate Bar” Palette. 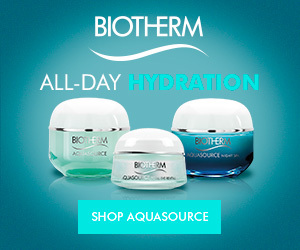 You can purchase it on the Sephora website. It retails for USD$49.00/CAD$59.00 which isn’t too bad considering the amount of shadows you’re getting and the quality. 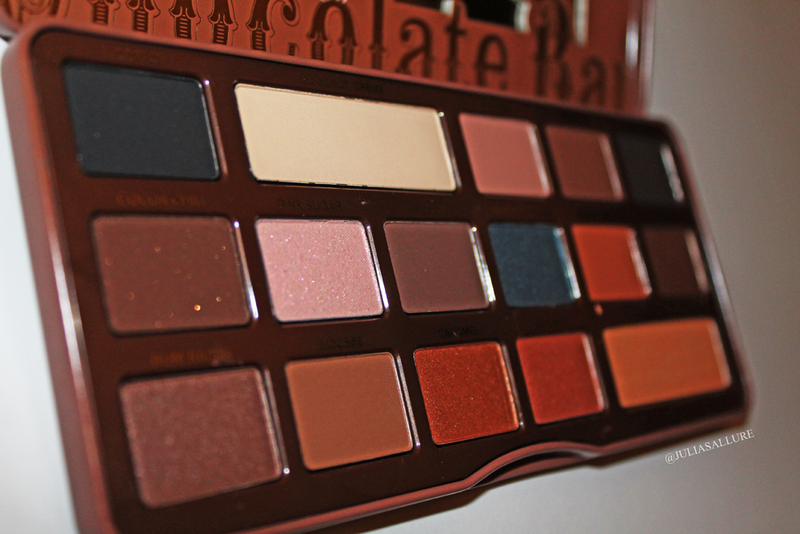 The added bonus is that the palette truly smells like CHOCOLATE! Um.. yes please. They really take advantage of a woman’s weakness… haha. This is what is written on Sephora about the shadows: “Infused with the scent of sweet chocolate, this collection features 16 antioxidant-rich, cocoa powder-infused shadows in matte and shimmer shades with warm caramels, deep mochas, bronzy chocolate, and vibrant sugared blueberry hues”. Sounds yummy to me! 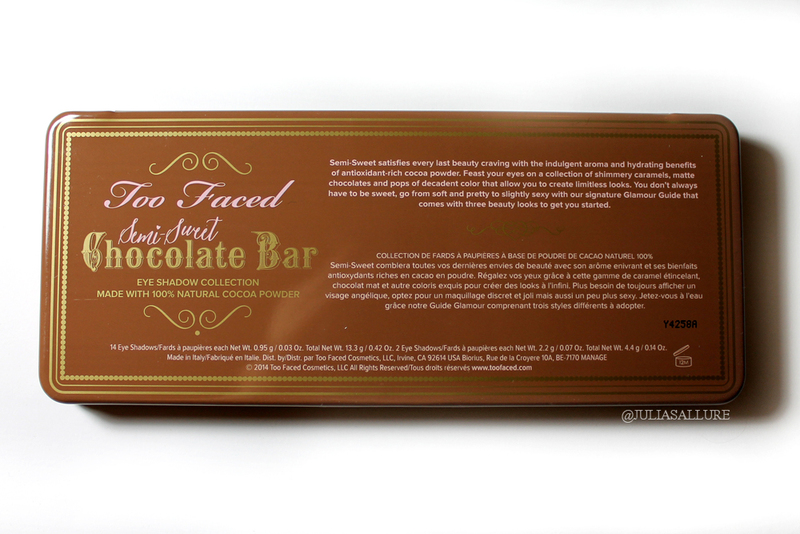 The packaging is virtually the same except I have the original Chocolate Bar palette which was more bulky than the new ones and the new Semi Sweet one. I definitely appreciate how they made the new packaging slimmer AND they added the names directly to the new palette. 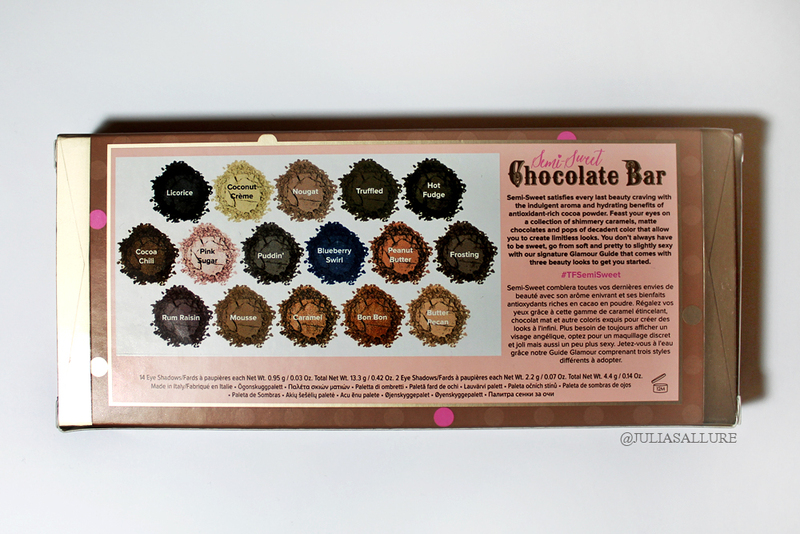 On the original Chocolate Bar palette the names were on a plastic slip and once you lost that you couldn’t see the names anymore. 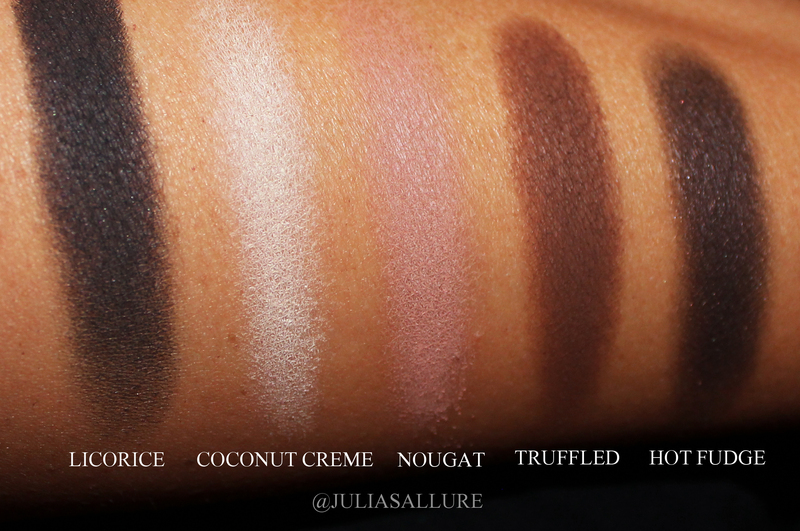 Totally love how the names are written on the new palette. 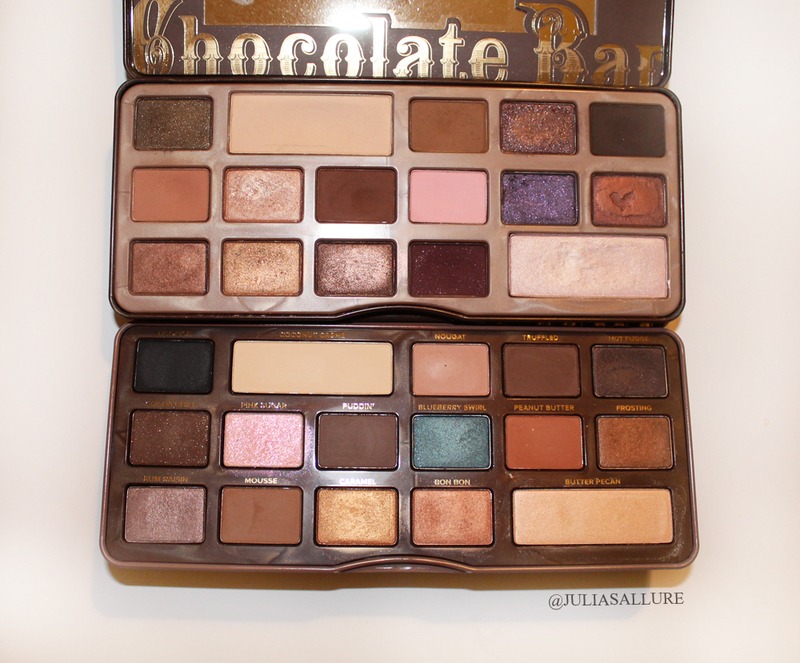 Original Chocolate Bar palette is on the top, the bottom is the new one. As you can see the colours are quite similar except for the pop of blue in the Semi Sweet palette and also the new palette has warmer tones. The shades vary between mattes, glittery, metallic and satin finishes. I really like the variety. Just like the original Chocolate Bar palette the two neutral brow bone and highlight shades are larger which is always nice because those shades get used the most I feel. Now the one shade I was actually disappointed in was the “Blueberry Swirl” one. It was pretty strange as I thought since that was the one pop of colour it would have been more pigmented and memorable but I felt I really had to work at it to get a good pigmentation. Keep in mind I didn’t use a primer for these swatches so maybe with a primer it would work better but still… I was quite disappointed in that shade. Another shade which really didn’t have a base colour was the “Pink Sugar” one. That shade is just straight up glitter. 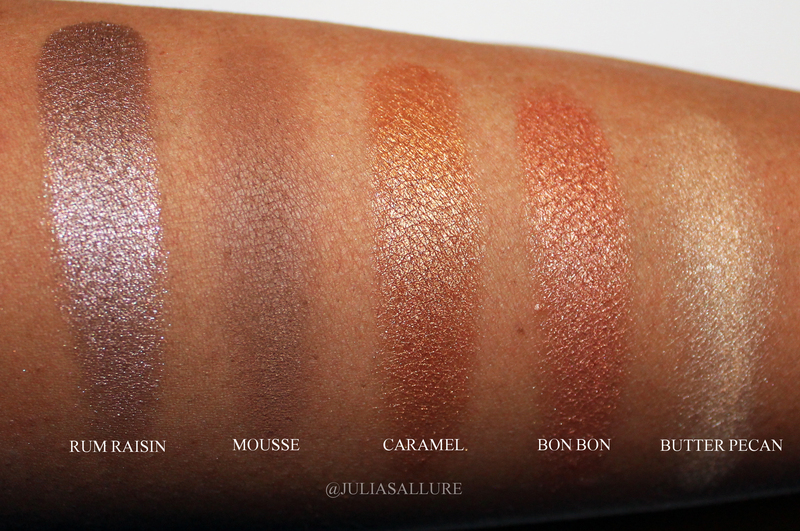 I’m not complaining but it definitely swatches differently than how you see it in the pan. With a good glitter primer or some Fix + I bet that glitter shade will be gorgeous. The shade that sold me was the “Peanut Butter” shade. Ah, I’m just a sucker for warm brown shades and this one is gorgeous. 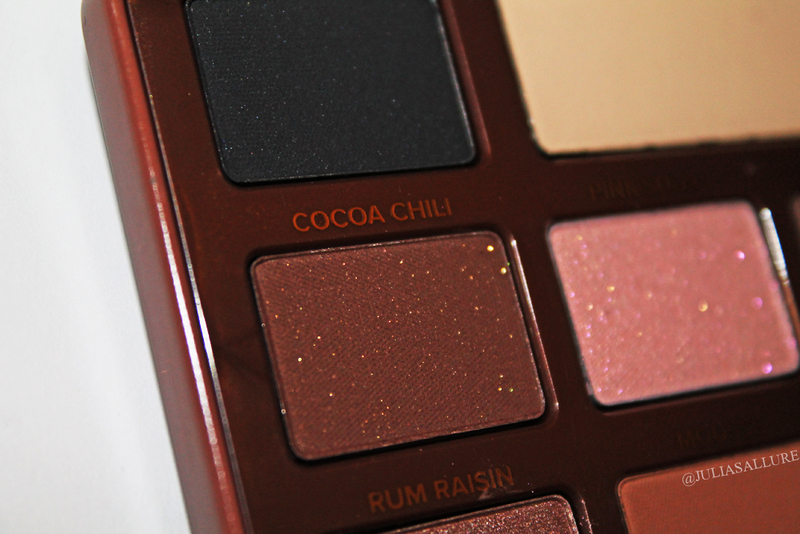 It’s similar to the “Salted Caramel” shade in the original Chocolate Bar palette but this one is warmer and even texture wise I feel the shades in the new Semi Sweet palette are more buttery. 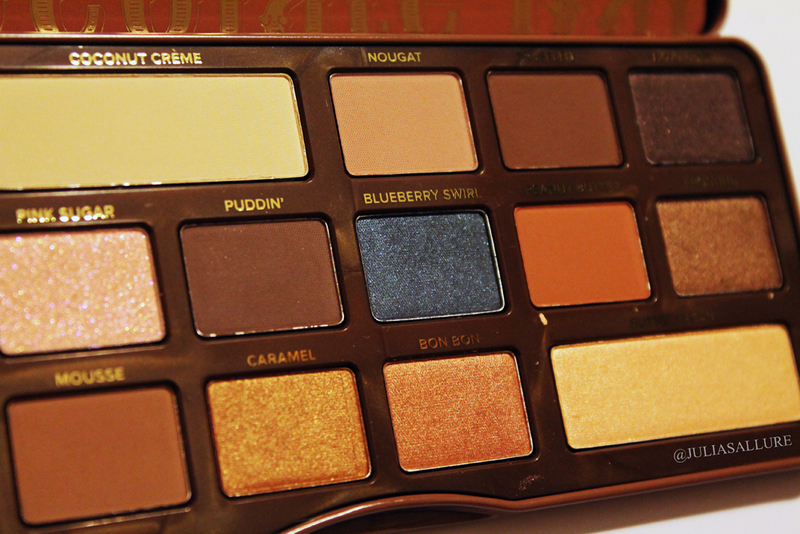 Overall, if you’re looking for a gorgeous neutral palette I would definitely recommend this one. 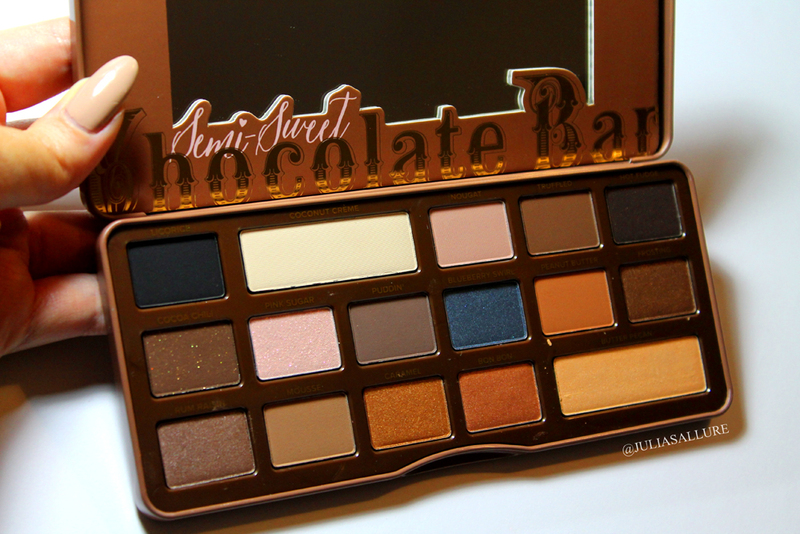 If you don’t have the original Chocolate Bar palette and are deciding which one to get, I would say get the Semi Sweet one as I feel the shades are just overall nicer and even the texture of this new palette seems better. 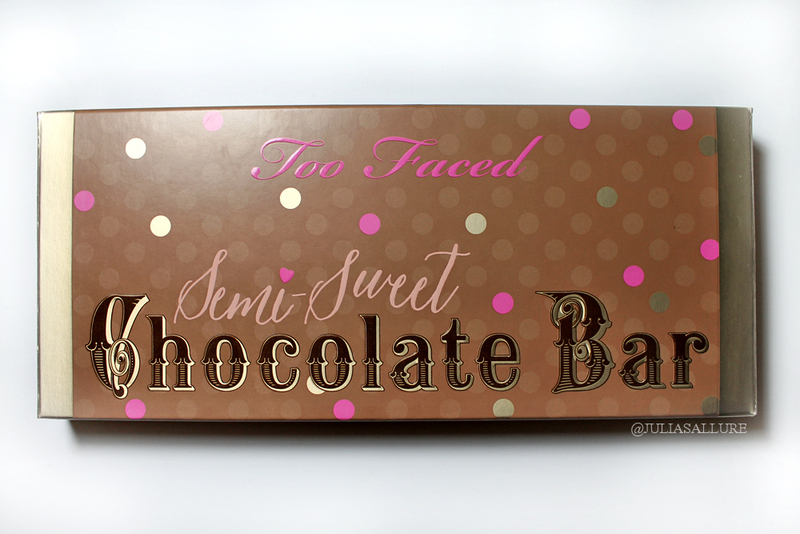 If I had to choose I would choose the Semi Sweet palette for sure. They’re both beautiful by all means, but I just personally prefer the new palette. 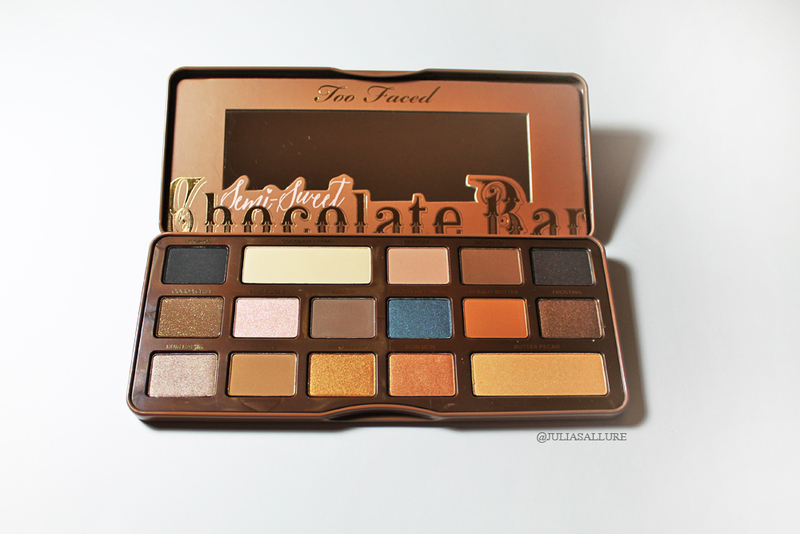 If you have the original Chocolate Bar palette you don’t NEED the new one as it’s quite similar but if you’re a makeup junkie like myself it’s definitely money well spent! 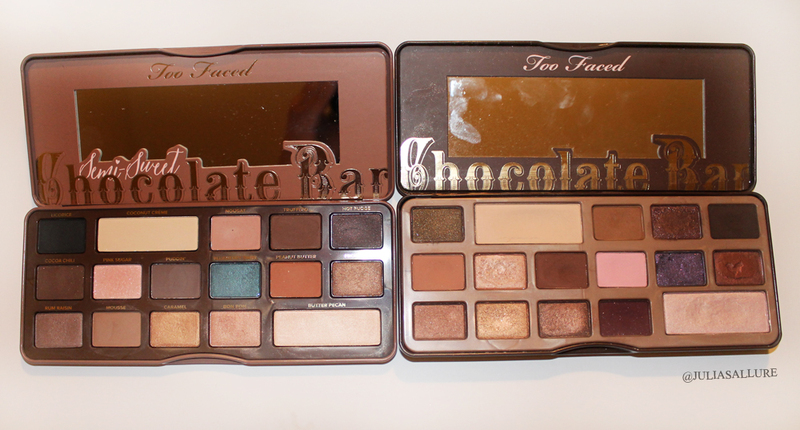 Hope you guys liked this post and let me know your thoughts on both palettes! Great review! This was definitely tempting when I first saw it 🙂 I don’t have the original either which I’ve heard over and over is also great! Excellent review! Sorry I am not able to post on your blog (Internet problems) but I wanted to feed back that I love the detail that you have written about the Semi sweet palette; it is so helpful. 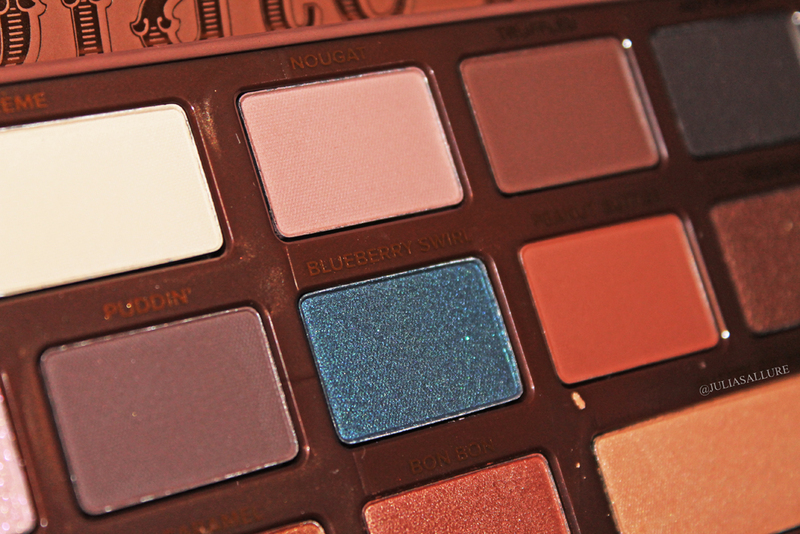 I live in the UK and it is hard to find these palettes but I really want this one now! This looks amazing!!! But I don’t know if I really need it…it just seems that it is so similar to the first one. 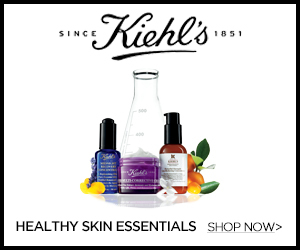 I am seriously debating the Vice 3 now – do you have it ?